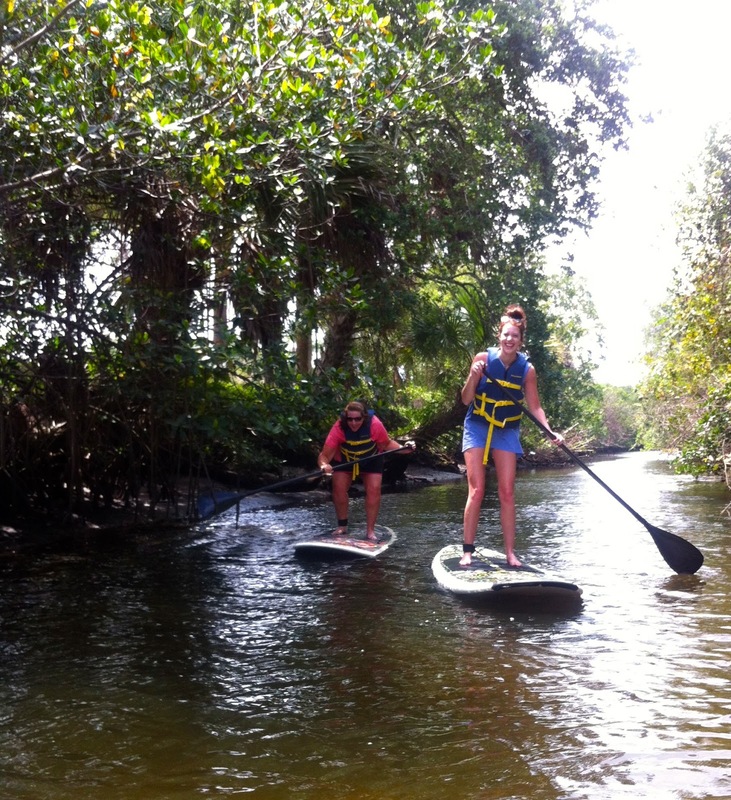 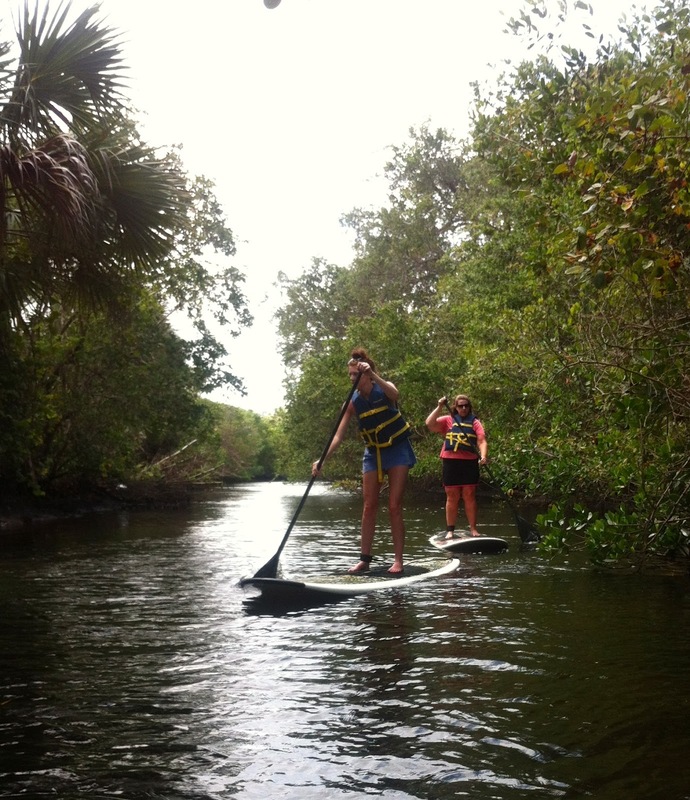 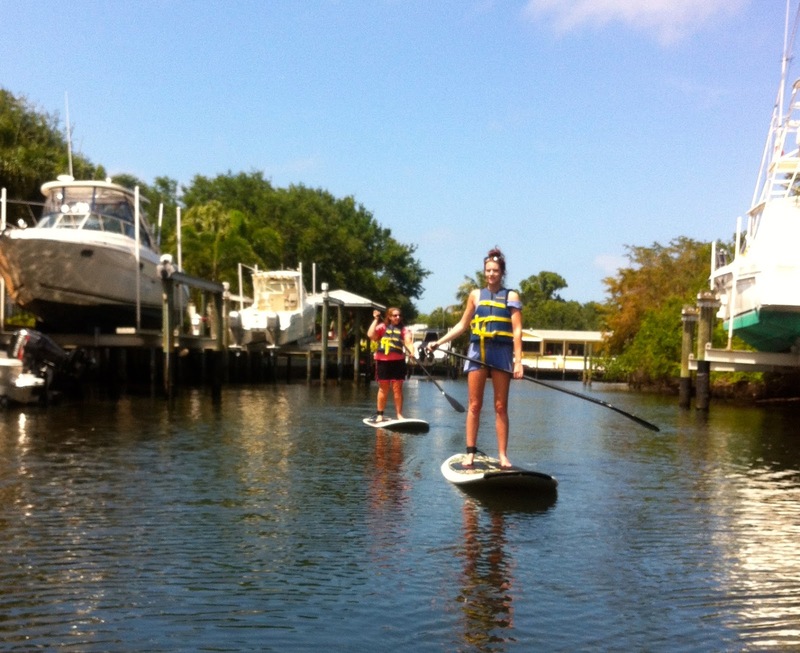 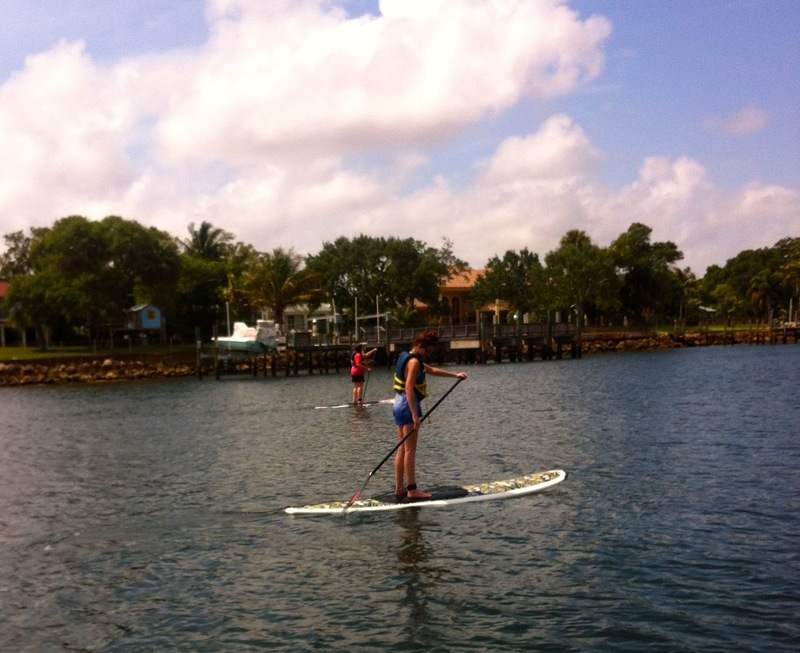 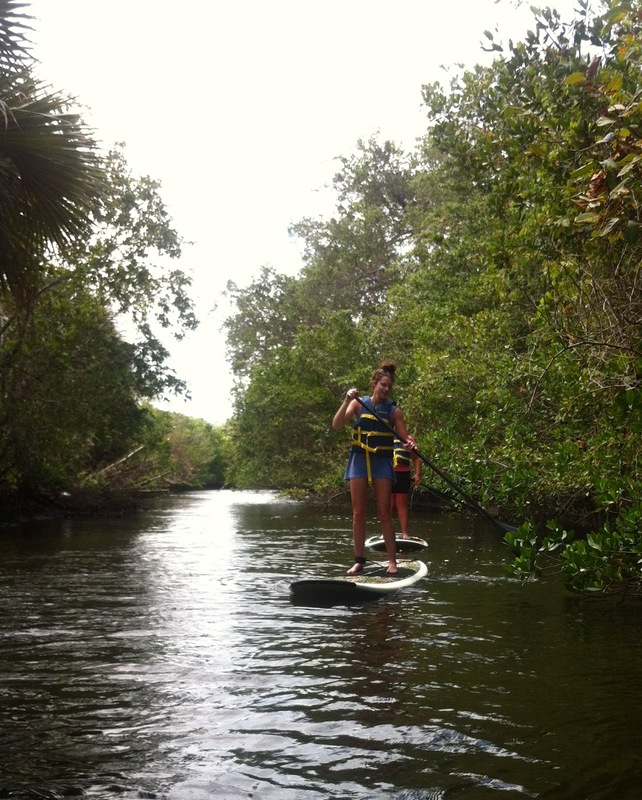 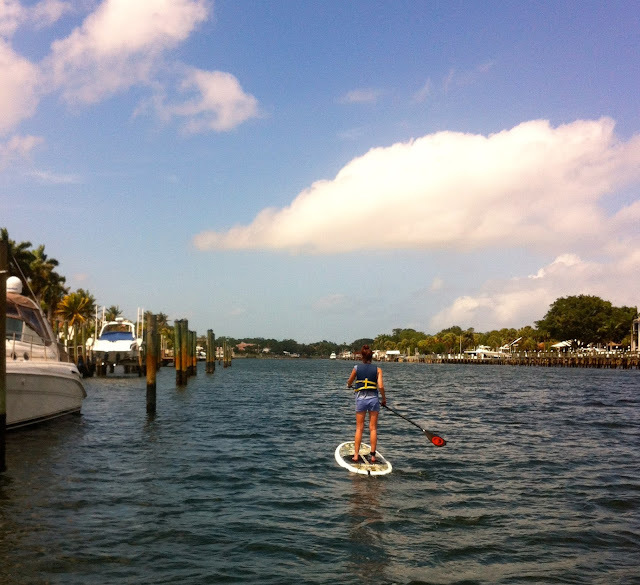 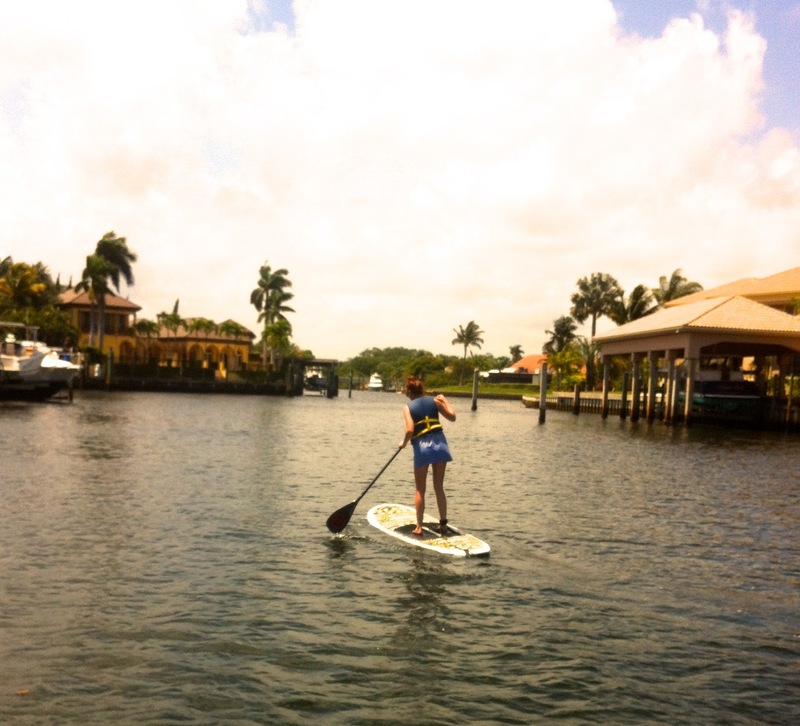 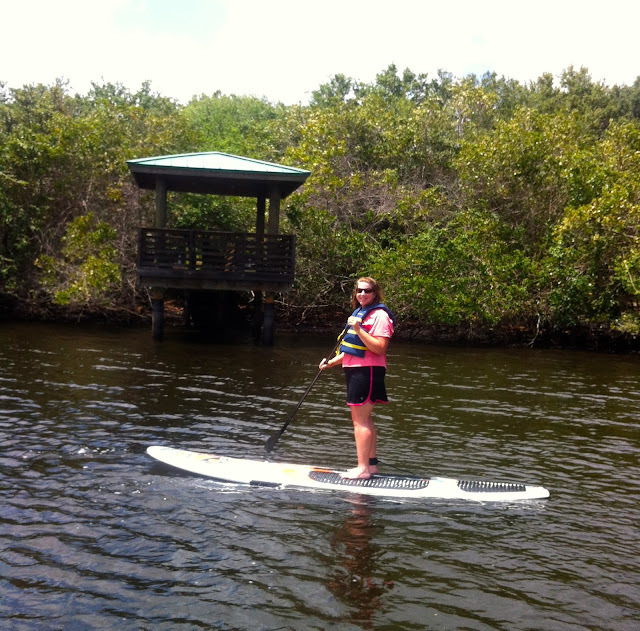 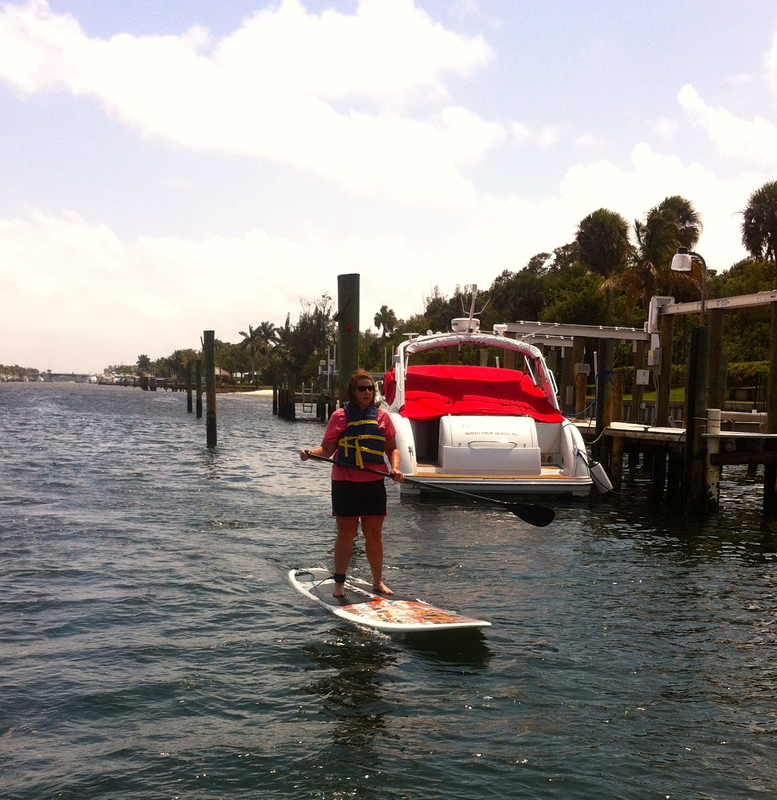 Georgia gals enjoy spring break in South Florida and decide to take a Paddleboard Excursion. 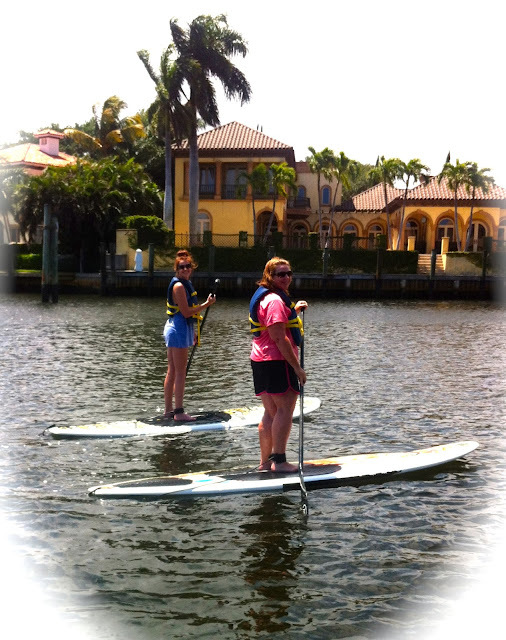 Both gals stood up immediately and took off like pros! The wind was strong so we took a one way excursion through the back bays. 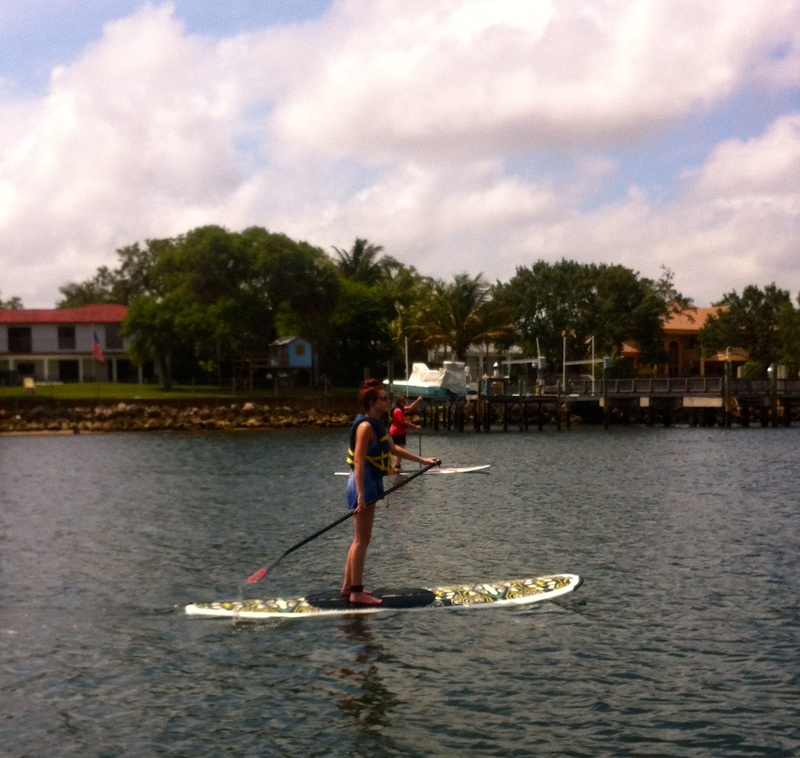 Going against the wind builds core muscles but for beginners this can be a challenge. 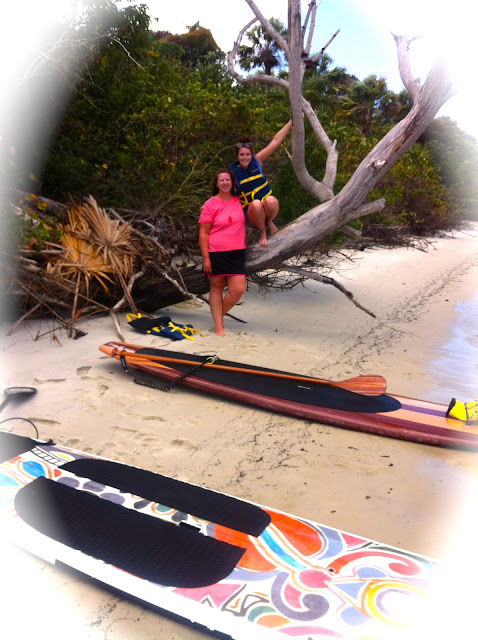 It was a wonderful experience with the wind behind our back blowing us to our destination. 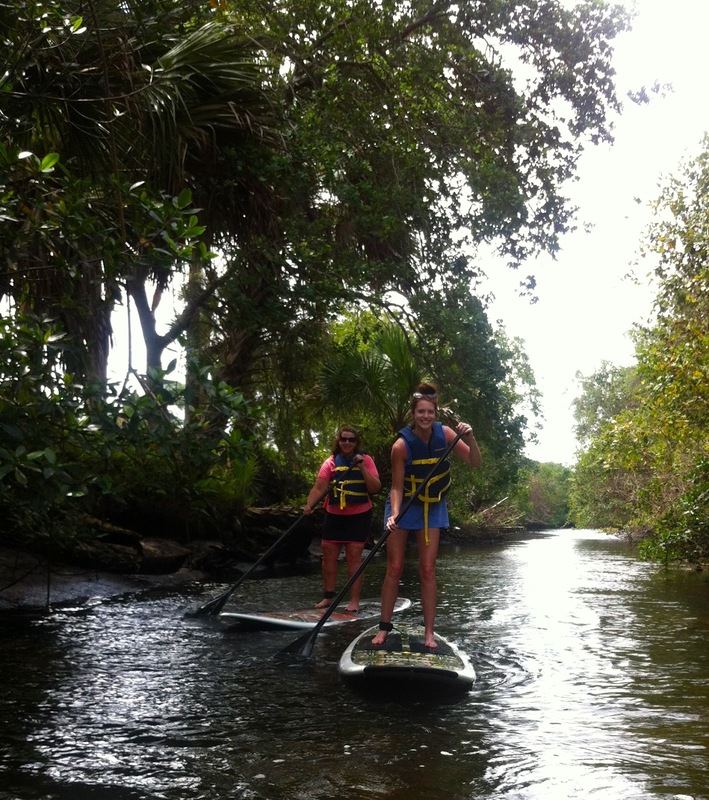 We hardly had to paddle. 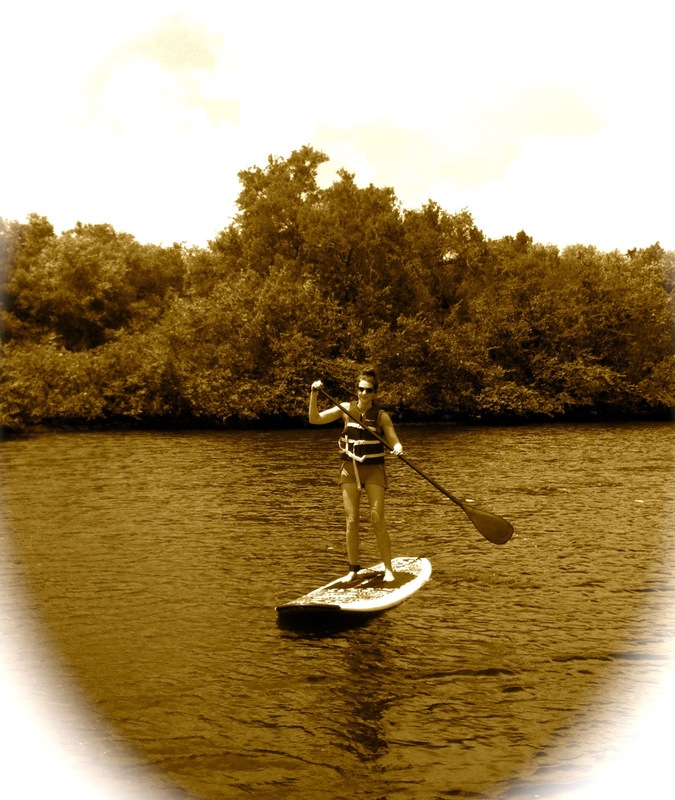 Lots of fun was had and memories will be shared for a lifetime!